Two and a half billion people worldwide, most of them desperately poor villagers, need a better way to save and to borrow. Even the most innovative banking institutions can’t reach them; savings groups can. In savings groups, members save what they can in a communal pot and loan their growing fund to each other for their short-term needs. 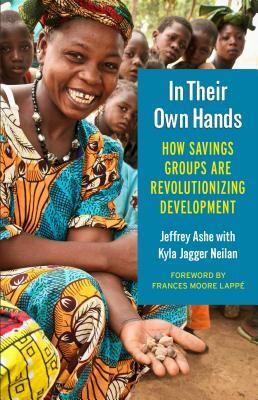 Jeffrey Ashe and Kyla Neilan illustrate how these savings groups form and function and how little “outside” support is actually required for their success. Drawing on decades of Ashe’s personal experience, this book describes how he developed Saving for Change, which leveraged the wisdom and strength of group members to train and establish new groups. This model has impacted the lives of 680,000 people across five countries. Savings groups are a “catalytic innovation” that bypasses subsidies, dependency, and high costs while effectively reducing chronic hunger, building assets, and empowering the community. Today, saving groups have 9 million members around the globe—with minimal support, membership could grow to ten times this number. Jeffrey Ashe is a microfinance pioneer and the founder of Working Capital, once the largest microfinance institution in the United States. President Clinton awarded Ashe the first Presidential Award for Excellence in Microfinance. He currently teaches at Columbia and Brandeis Universities. Kyla Jagger Neilan holds a master’s of public administration from Cornell University and is currently an emergency and early-recovery program manager for Catholic Relief Services in the Central African Republic.